Jean-Jacques Guizot was just two years younger than François, and owed his first name to his maternal grandfather rather than to Rousseau. He lived in the shadow of his brother, having neither his wit nor his conquering spirit. They were brought up together and always got along extremely well. Described as being light-hearted, whimsical and generous, he was always protected by his elder brother. “You know how much I love him”, Guizot wrote to his mother in 1809 “there is nothing I would not do for him. I think of him as my child”. Jean-Jacques was in fact then living in Nîmes with his mother in his maternal grand-parents’ house and at twenty, was doing nothing worthwhile and had even grown a beard. Guizot decided to take him in hand and in 1812, found him a position in the State owned Tobacco Company. He then settled in Paris and devoid of jealousy, was ecstatic about Francois’ successes: “His appointment to the chair of Modern History is assured. M. de Fontanes treats him with great distinction, everyone honours him and only good things can be heard about him”. From then on, he never left François, who in 1815 found him a position in the Subsistence Bureau in the Ministry of the Interior. In 1819, he made him Sub-prefect of Saverne in Alsace, and in 1820, of Marvejols. Dismissed in 1823 by the Ultra movement, he then helped his brother with his publishing and translation work, as he read English and German. He took a lot of interest in his nephew and godson François and was very attached to him. In 1826, he married Amélie Vincens. She came from a very good Protestant family in Nîmes and her uncles were Deputies in the Gard department, one in the Legislative Assembly and the other during the Hundred Days. Her father Emile had a very successful career in the Ministry of Commerce and the Council of State. At the outset of the July Revolution, François found a position for his brother in the Ministry of the Interior as Head of Staff, then placed him, with the Legion of Honour, in the Council of State as Master of Requests. The future Marshal of Castellane described him as follows: “He was a nice lad, small, ugly and rather ridiculous. We only ever called him ‘J-J'”. 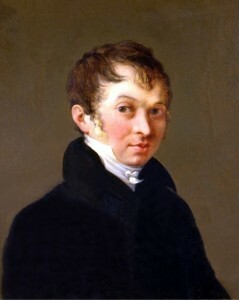 After the death of his wife Eliza in 1833, Guizot relied greatly on Jean-Jacques and Amélie, who had no children of their own but very often looked after his. However, Jean-Jacques died on February 25, 1835 and Amélie followed him eighteen months later. Guizot was very affected by this loss. After dining with Emile Vincens in September 1837, he wrote to his mother: “I never enter this house without a bitter pang! We had these two people who were so deeply devoted and attached to you, to me, to my children! And I can no longer go and fetch my poor brother and kindly Amélie to take them with me to the country!” They now belonged to all the dearly departed that filled Guizot’s heart and memory until the end of his life.